As most football fans know, the Oakland/LA/Oakland Raiders football team will become the Las Vegas Raiders as of the 2020 season. My adopted home town is building a new stadium for them at a cost of $1.6 billion (that’s billion – with a ‘B’), and we, the taxpayers, will be footing $750 million of it. If the multitude of bumper stickers and decals around the city are any indication, more than a few of my fellow Nevadans are quite excited about the coming of our new team, despite the serious financial commitment. For me, having grown up in the Denver environs, my two favorite teams were always the Denver Broncos and whichever team was playing the Raiders. In the early years, when the Raiders dominated my Broncos, we looked forward to playing them in Mile High Stadium where our home field advantage at least kept the games close. The altitude and crowd noise definitely worked in our favor, but even more so was the fact that half of their team was usually in jail on assault and battery, armed robbery, or drunk and disorderly charges. When they were playing at home, these guys could still play because either they were out on bail or because of work-release arrangements with the county jail. The terms of their release prohibited them from leaving the state, however, so they couldn’t travel to Denver. In addition to the weekly injury report like other teams provided, the Raiders would also report who was recently incarcerated and who was due to be released. Okay, okay – maybe I exaggerate slightly, but that’s sort of how I remember it. Season tickets are now being sold here, and the smart investors are snapping them up. 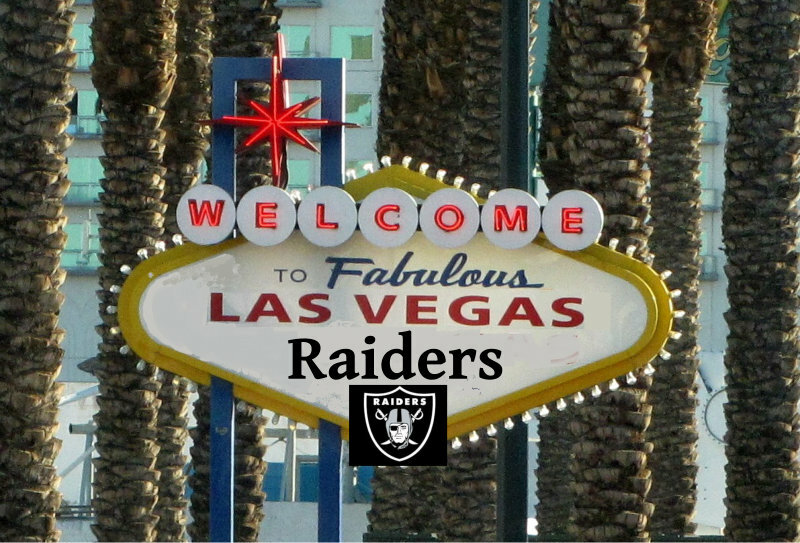 If our new LV Raiders do as well as teams elsewhere (like Denver for example), buying them will be a good investment. Between the local fans and the millions of tourists that visit our city, most games ought to be sell-outs, making the tickets worth more than face value. I have to admit, times are different now than they were when I was younger and living in Denver. With Jon Gruden as coach and quarterback Derek Carr, the team is nothing like the Raiders of old. Some deep rooted biases are impossible to get over, however, and while there may be a profit to be made, I’d sooner buy Philip Morris, Crack-for-Kids ‘R’ Us, or Euthanasia Centers of America stock before I’d buy Raiders tickets. There is a sliver lining... with the Raiders of today, all we have to build is a new stadium. If the move had happened fifty years ago, we’d also have to add a new wing to the Clark County jail.